Space has a profound influence on the way we live. And though we often aren’t aware of this phenomenon, we know we feel it as we step into new places. 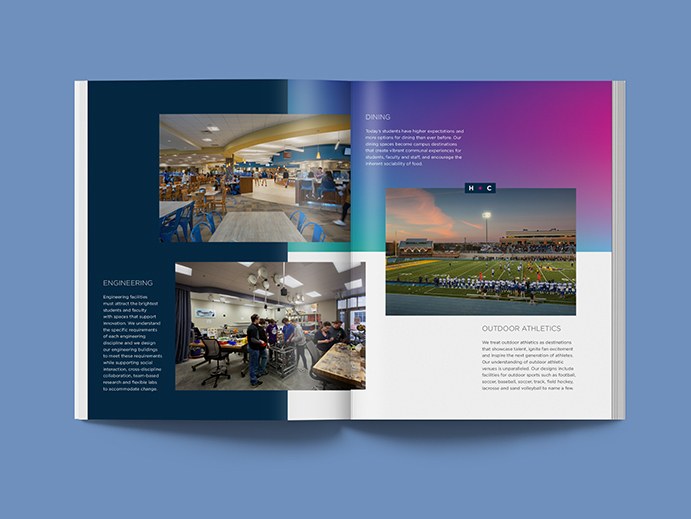 At colleges and universities nationwide, those places and feelings are carefully designed by the team at Hastings + Chivetta. 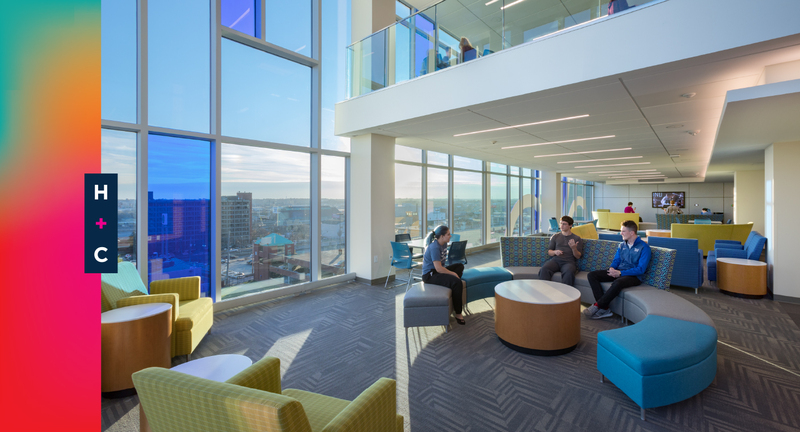 Founded in 1960, Hastings + Chivetta worked through several industries–government, commercial, healthcare–before finding its footing in campus architecture. 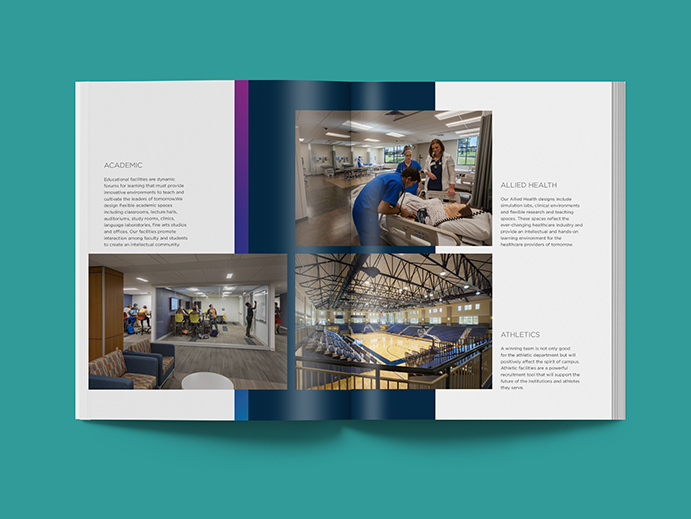 As colleges and universities balance budget constraints with student demand for top-tier facilities, it was time for the team at H+C to tell their story. 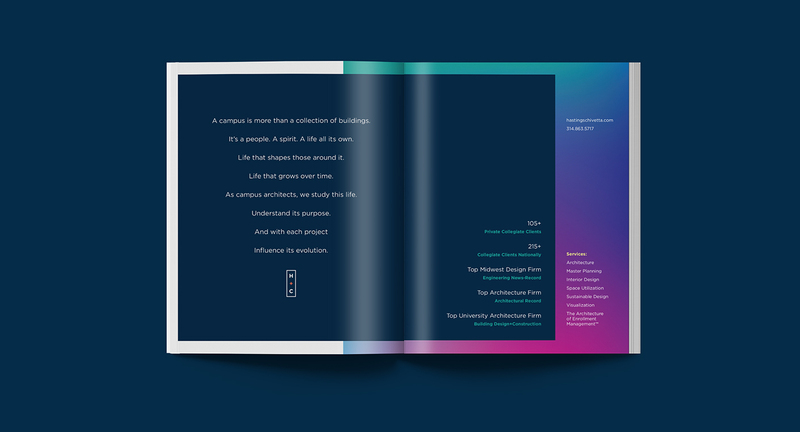 The firm approached Paradigm seeking an overhaul of its brand identity: one that reflected its passion for shaping campuses and elevated its reputation to the level of its larger, national competition. 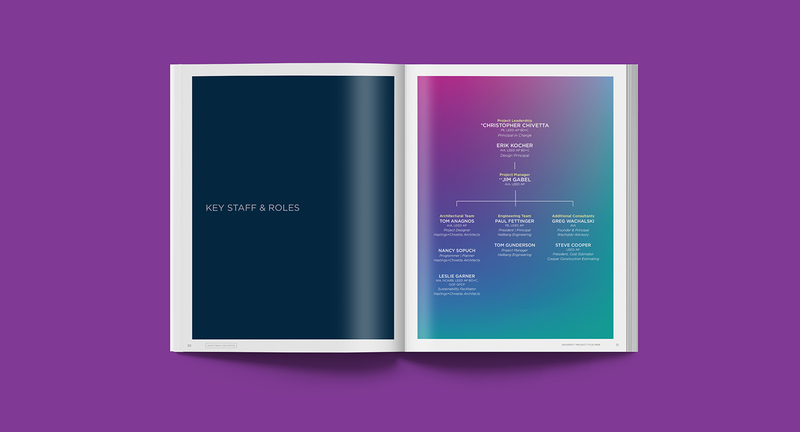 We kicked off the branding process with an in-depth discovery that put our team in the room with members of every H+C discipline: architects, designers, engineers, project managers, and leadership. During our discussions, we looked for the common threads that people shared about the work they love and the clients they attract. It’s one thing to have the capacity to do something and another to make it your specialty. Any architecture firm can put up a building on a college campus. Only a handful can study that campus, understand what makes it unique and change its fabric for years to come. 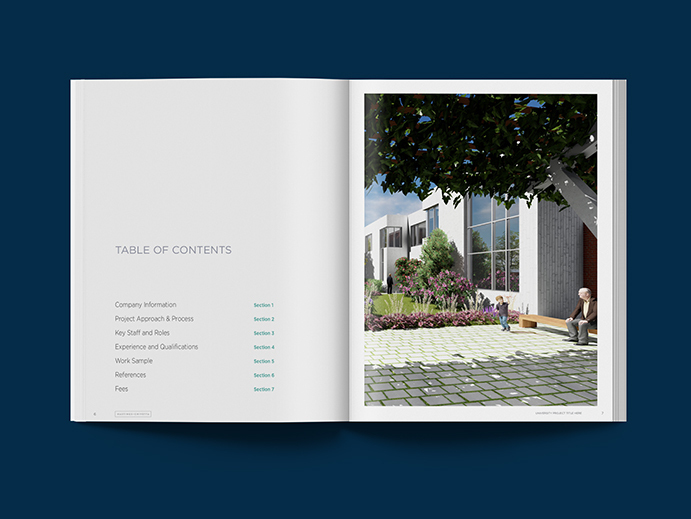 We rooted our brand concept in the idea that a campus, for all its concrete, metal and glass, is a center of life where people live, work, learn, grow and play. 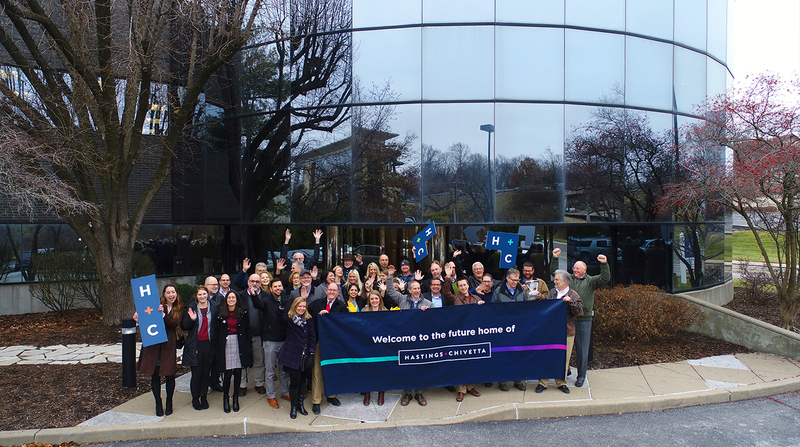 We positioned the firm as campus architects whose responsibility is to shape this life and foster its growth over time. 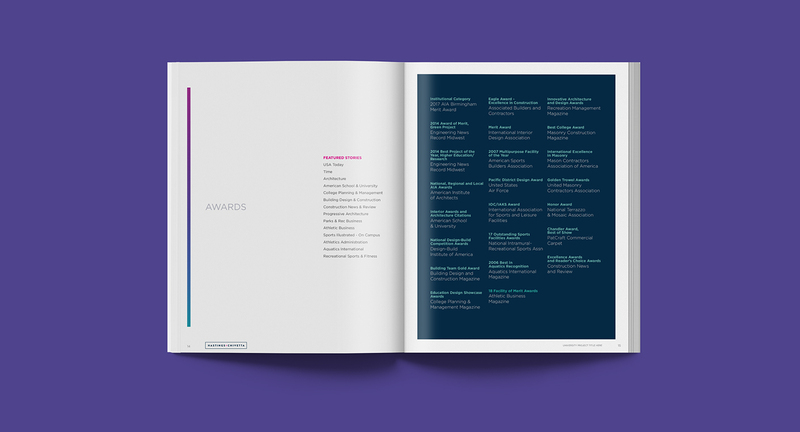 A brand narrative helped set the tone and direction for H+C’s messaging while setting the stage for its visual design. Much like life itself, H+C’s logo is a fluid system that physically adapts to different environments. It’s supported by a series of gradient fields that add a warming, organic element to the brand. 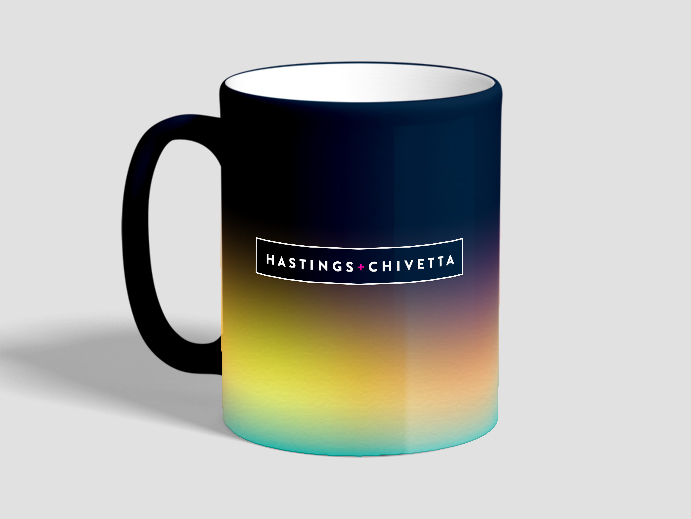 Combined, the logo and color palette create a nearly endless number of ways to display the Hastings + Chivetta name. 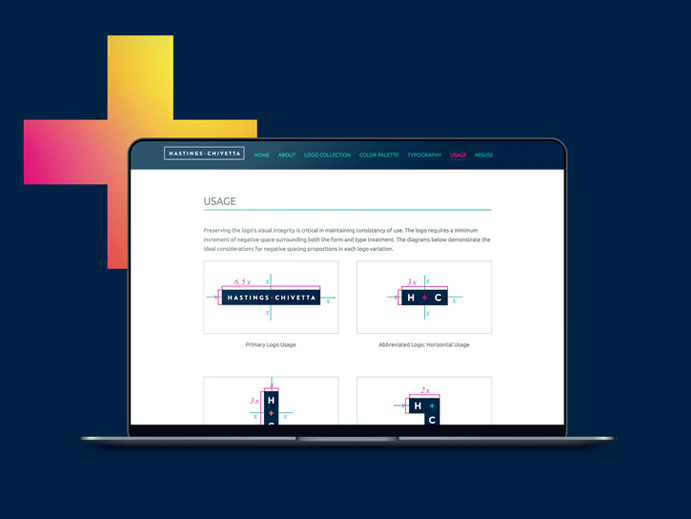 With so many ways to display the H+C name, we developed a brand guidelines site to host all brand assets and educate H+C staff on their usage. This simple, intuitive site helps ensure consistency across the board and protect the brand’s long-term equity as the firm pursues work nationwide. We developed a full suite of business collateral as we activated the new Hastings + Chivetta brand. 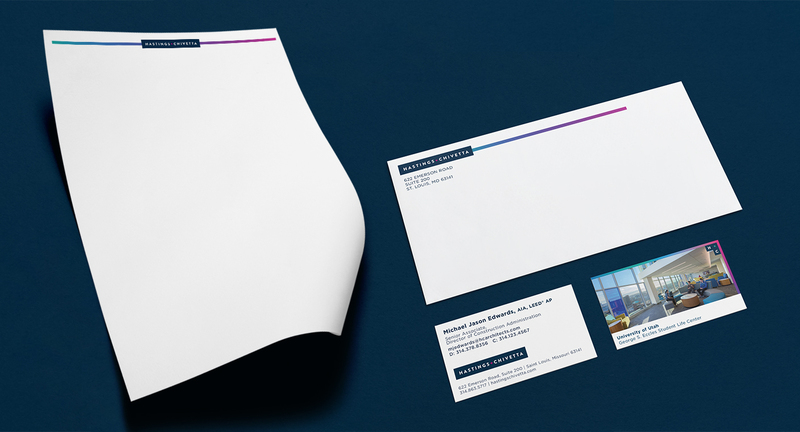 New business cards, letterheads, and envelopes led the way for the H+C team to introduce their new identity at even the smallest, earliest touchpoints with campus representatives. Architecture comes with a certain degree of showmanship. 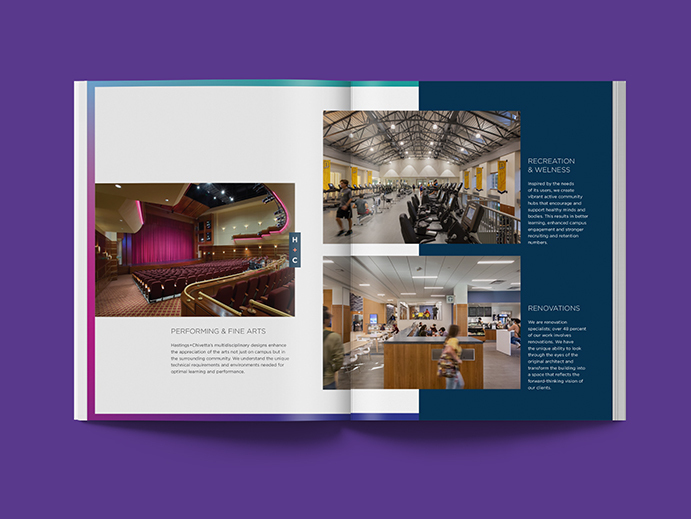 As firms pitch exciting new sports arenas, state-of-the-art laboratories or 5-star dormitories, they do with a level of flash and style that’s rarely seen in other industries. 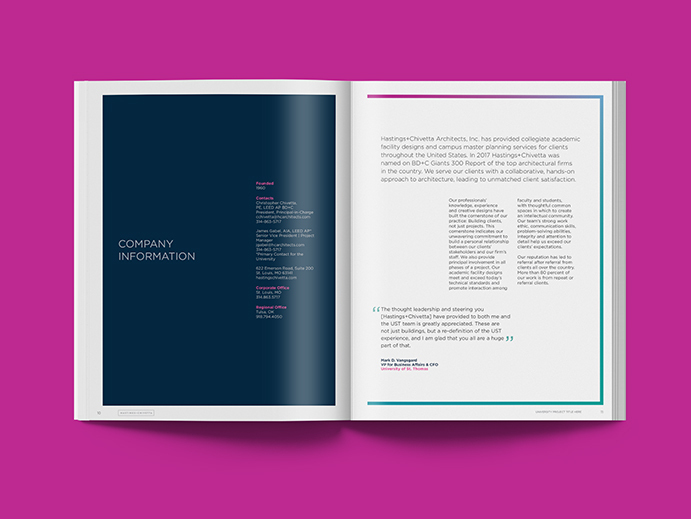 The launch of H+C’s new brand identity presented an excellent opportunity for us to rethink the firm’s sales presentation, one of its first long-form presentations to prospective clients. 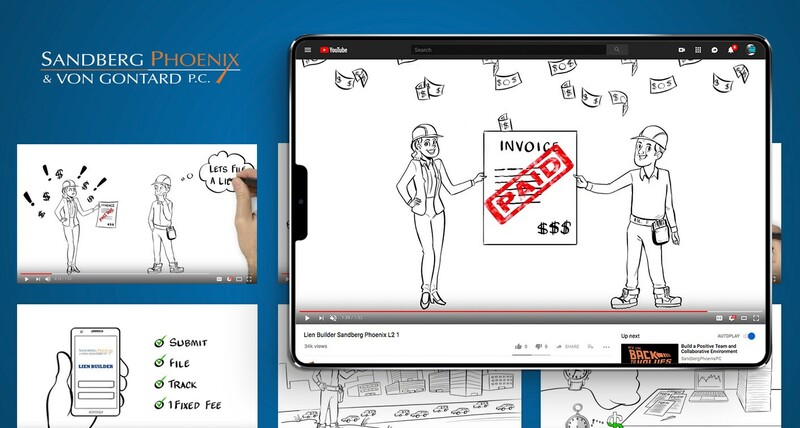 The updated presentation applies the new brand visuals while focusing on clean, informative slides. When it’s time to put pen to paper, clients want to know they’re in good hands. 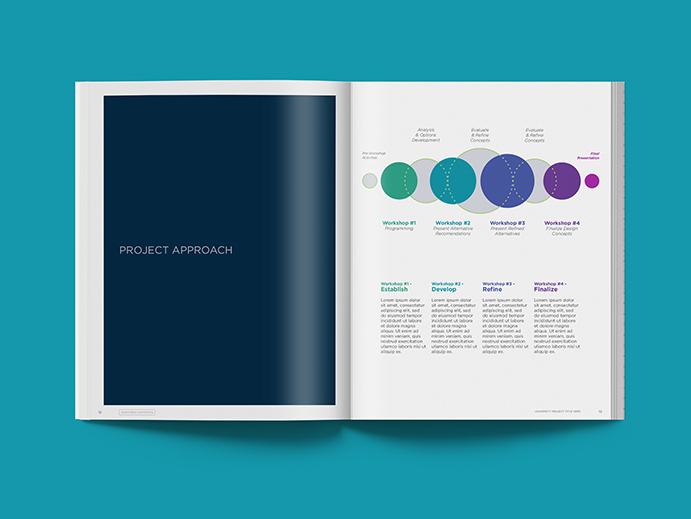 We redesigned the firm’s marketing proposal to better tell the firm’s story and elevate its experience to prospective clients. 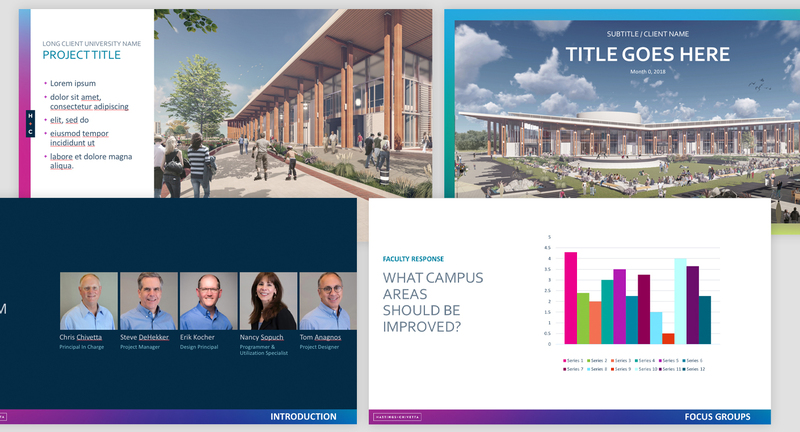 With catching visuals and an emphasis on storytelling, H+C new marketing proposal inspires confidence and raises them to the level of their national competitors. 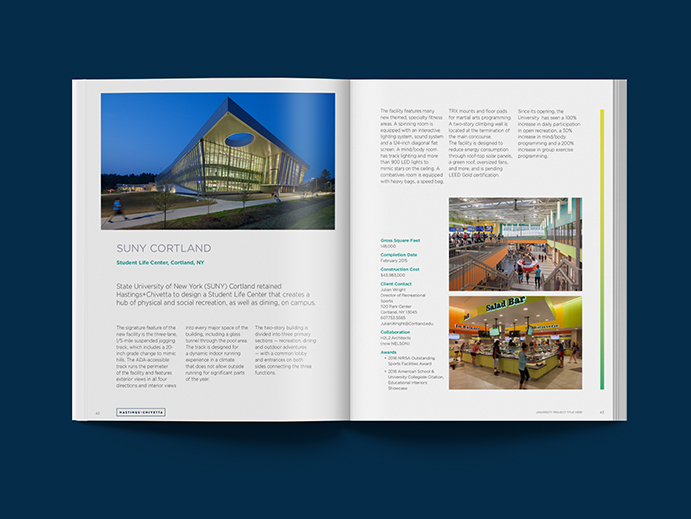 We also redesigned H+C’s marketing brochure, a high-level print piece that introduces the firm and its core services. 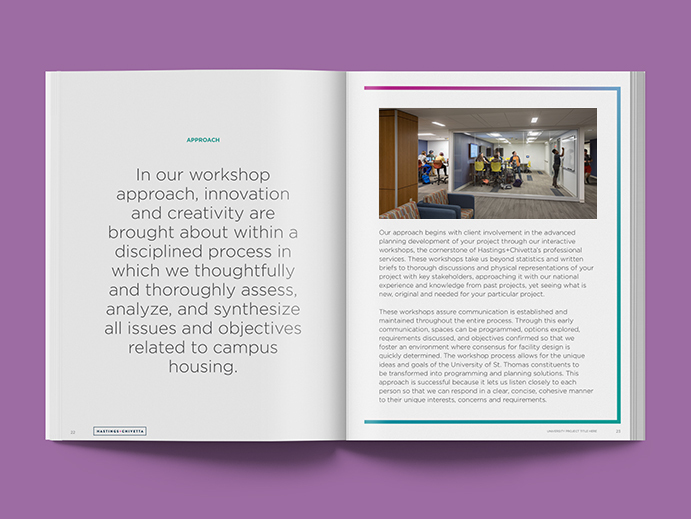 The firm’s brand narrative opens the brochure and introduces the core message–that H+C’s focus extends beyond individual buildings. New brand elements and environmental photography support the message and carry readers through everything the firm has to offer. As it rolls out its new brand identity and assets, the team at H+C is eager to share the story they’ve all felt for years now: that they are the shapers and influencers behind some of the most iconic places in the country.